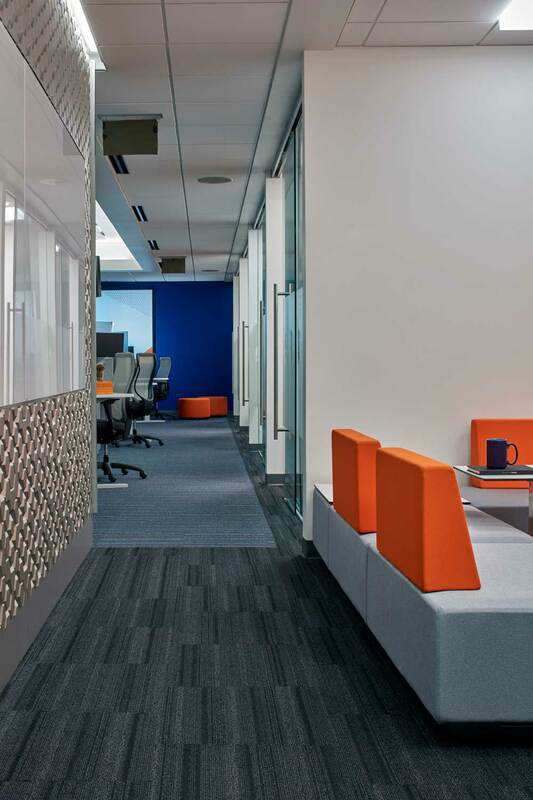 The objective for this full gut renovation project was to create a space that is a better place to work, a better place for clients to visit, and a place that communicates the story behind the business in both tangible and intangible ways. 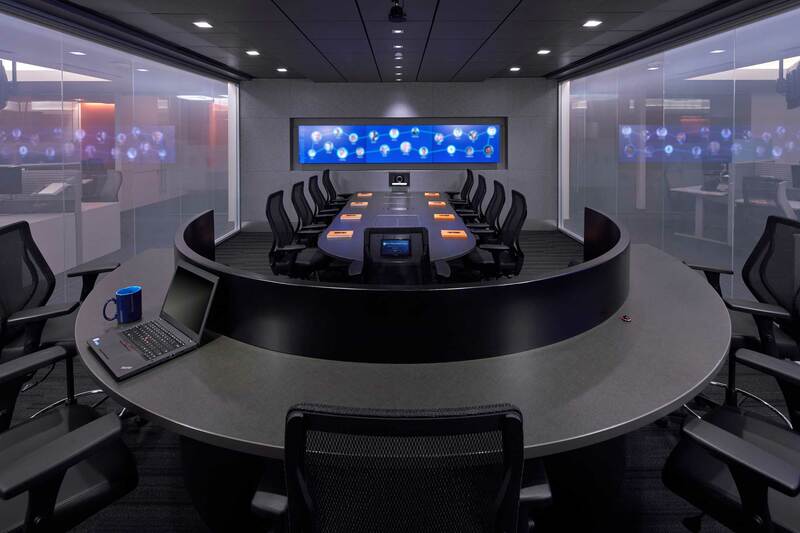 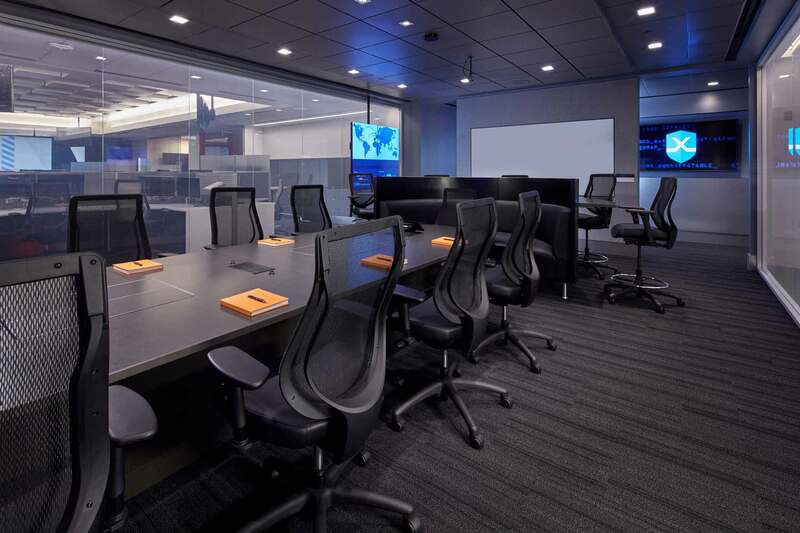 With a “Bank Vault” / “Minority Report” movie inspired aesthetic, Mission Critical is a secure 24 Hour facility; a live and interactive communication center. 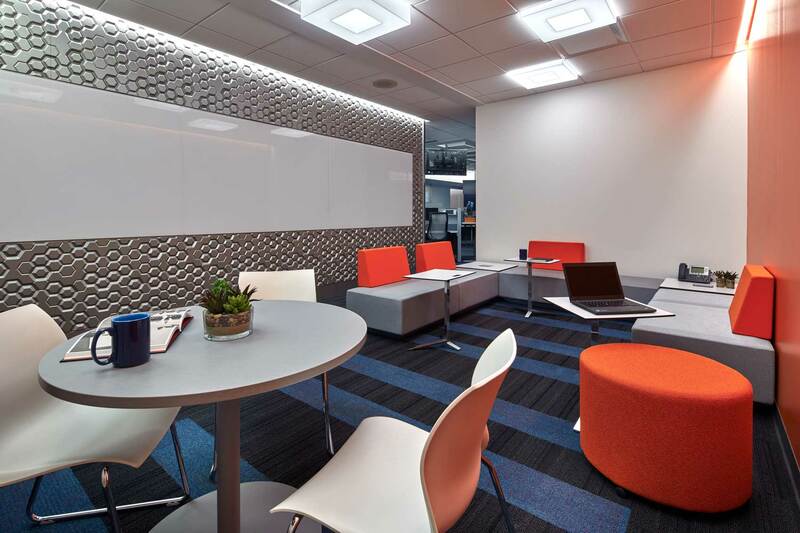 The main audience for the space breaks down into two groups: Current and prospective employees and customers. 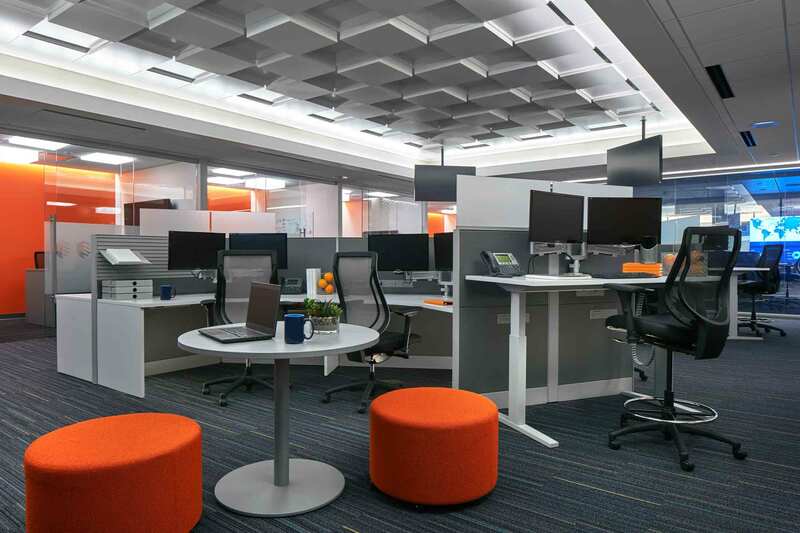 Designed to support teaming & collaboration, both within the office and between it’s associate offices world wide, this secure hi-tech space, without exterior windows, relies on easy visual access between team members, using open office stations, designed for team mobility at a moments notice, and glass faced enclosed offices and conference rooms at it’s perimeter. 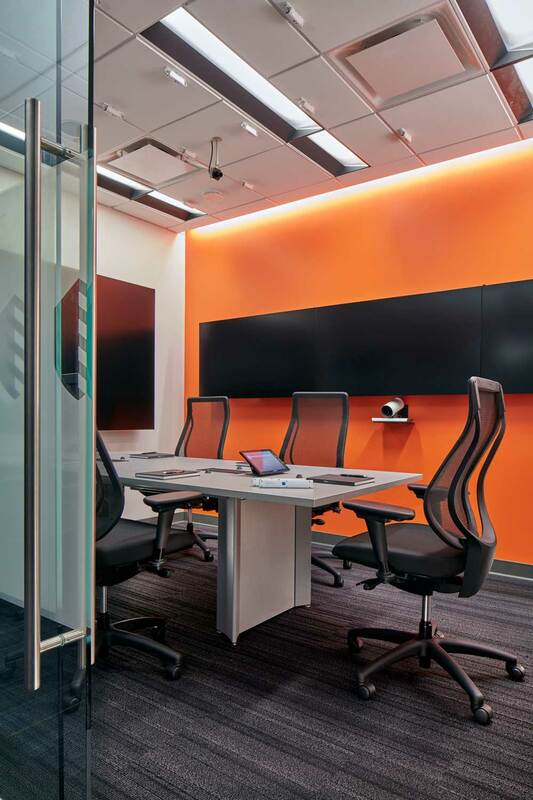 The central presentation room maintains a balance of privacy with the use of switchable glass partitions. 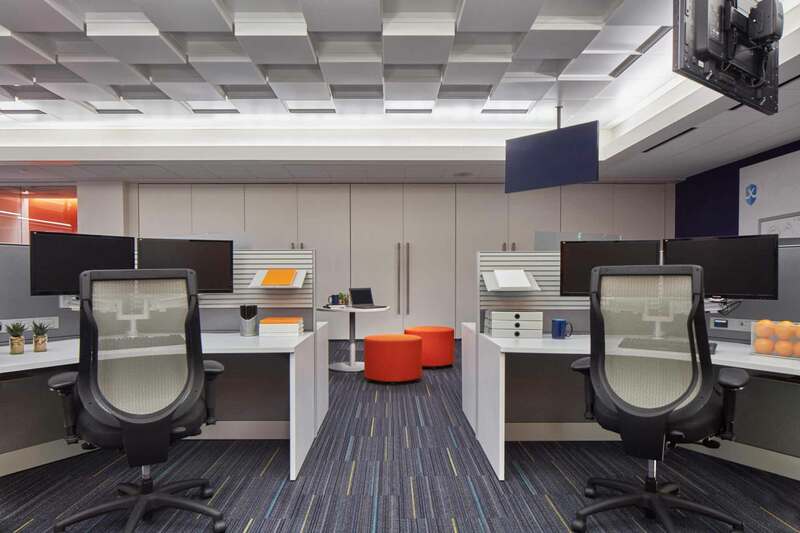 The raised decorative ceilings provide conceptual skylights over the work stations and ensure an appropriate quality of light for employees comfort. 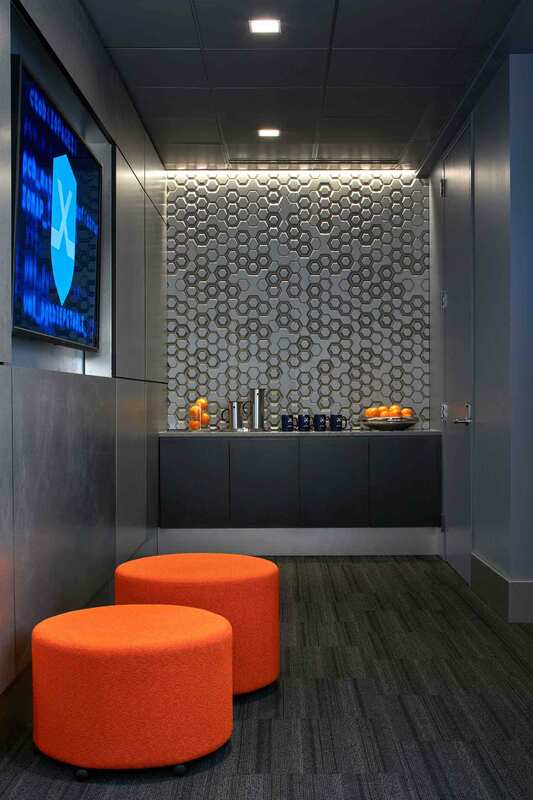 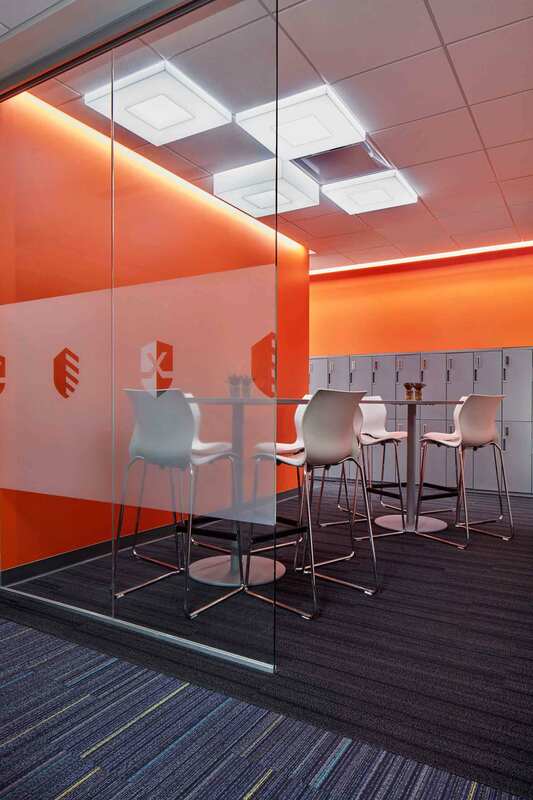 The interior design solution for this project met the clients unique program requirements, integrating existing corporate building standards and “Mission Critical” branding.